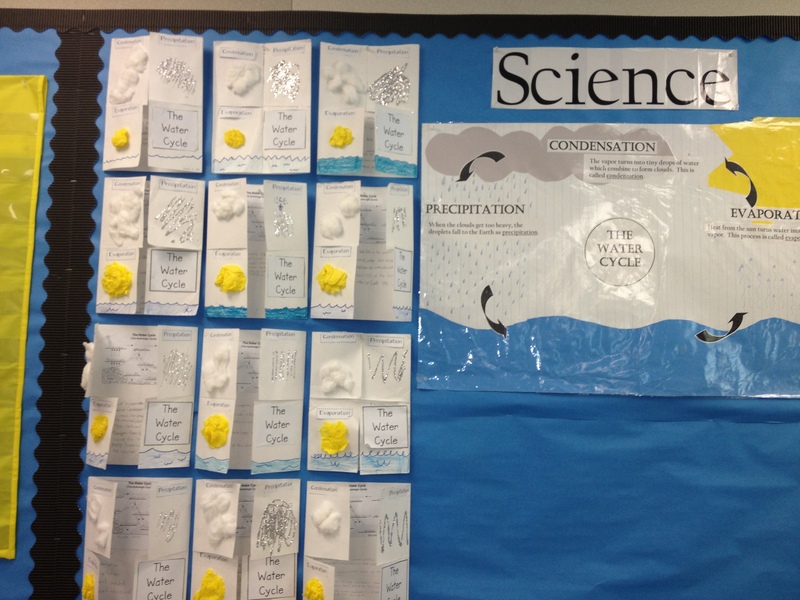 Every year our grade level team chooses to begin science with the water cycle. Why? Because it’s honestly so fun to teach. There are so many different activities and lessons that go with it, I just can’t get enough. After watching videos and researching it in our textbooks, I love showing the students Mr. Parr’s video. If you haven’t looked him up on youtube, I highly suggest it. He puts current songs with the lyrics to different educational concepts. 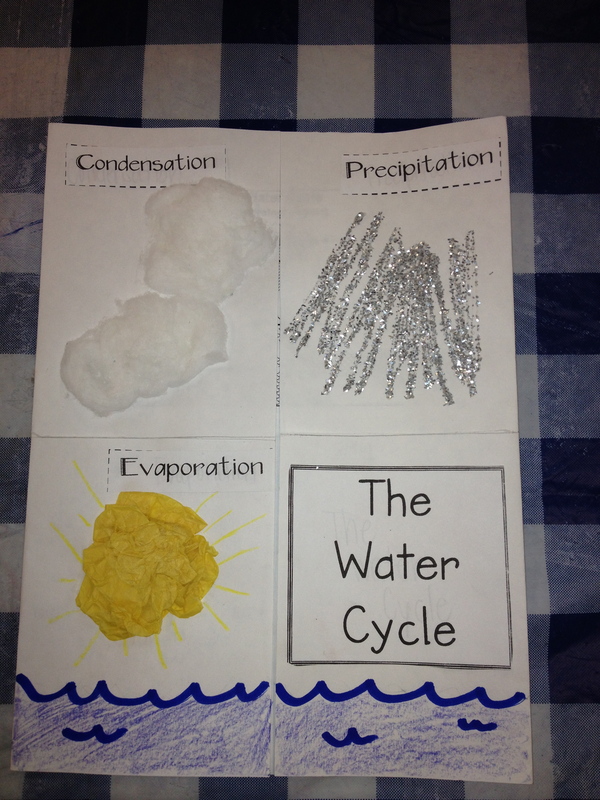 The water cycle one is awesome! All you need for this flipbook is white construction paper, some glitter, tissue paper, cotton balls, and the headings included in the pdf below. Start with a 9.5 by 12 white construction paper. Fold in half. Then have students draw a line across the middle to cut flaps. Clouds-cotton balls. Rain-glitter and glue. Sun-yellow tissue paper. 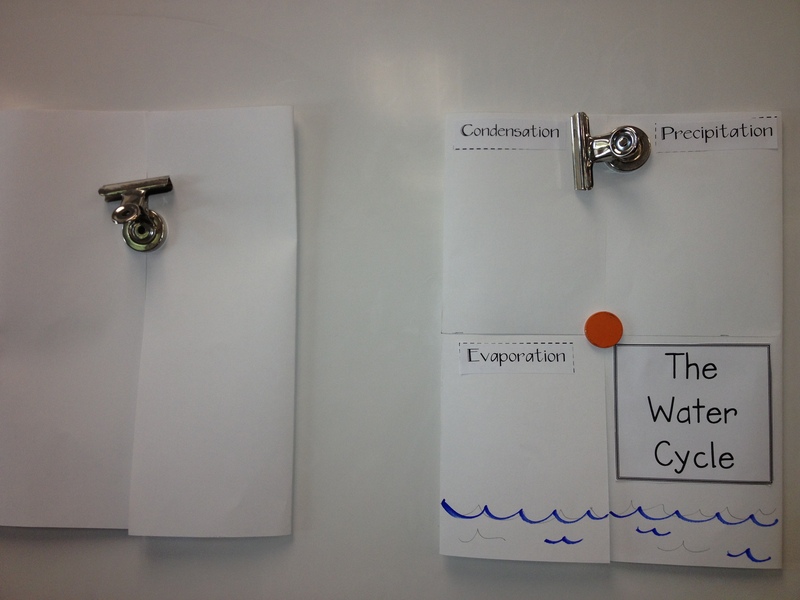 Behind each flap the students wrote the exact definition for each process (found in their textbooks). 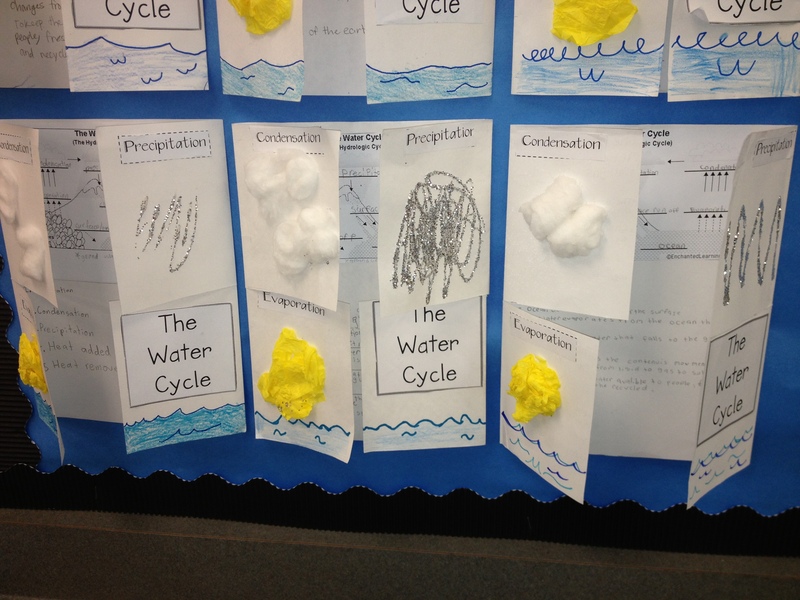 Then as a class we added more detail and explanation to the steps of each process. The class is going to be writing their first informational summary on the water cycle so I told them this information would help them and be sure to do a quality job. The center section of the book is changed up every year. Some years they have drawn a diagram, others they have written their summary right there, but this year I printed out a diagram from enchantedlearning.com and the students simply labeled it. For the section below the diagram, I tried something new. I gave the students a sheet of paper with 10 important facts regarding Earth’s water (the chapter of study). The students had to circle what they believed to be the five most important facts. Then, they had to rank the facts in order–#1 being “most important” to “least important”. 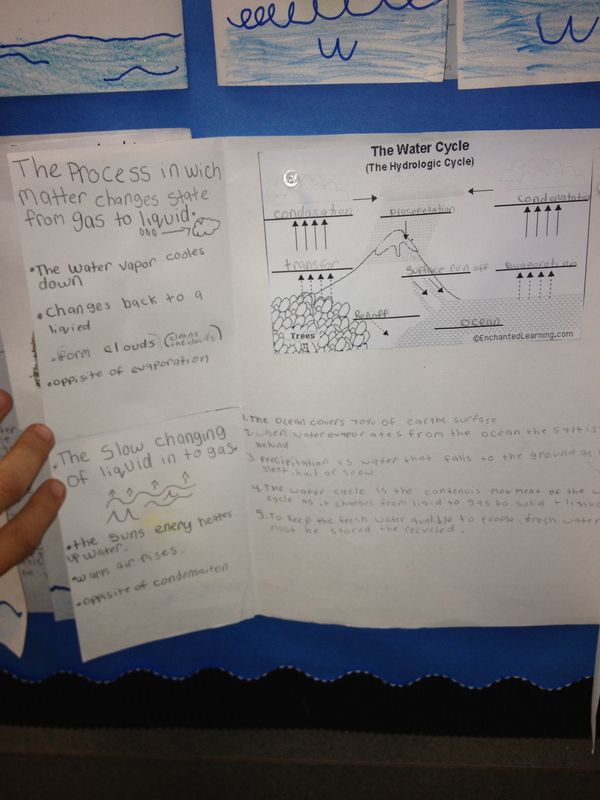 I asked the students, “If you were going to teach about Earth’s water, what are the 5 things that we HAVE to know?” and “What’s the most important thing you learned about Earth’s water?” The students then had to be able to justify why they picked certain facts over another….always very interesting to hear their reasoning.